Click here for more on your teachers. 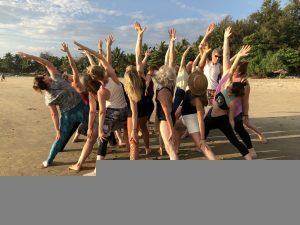 YogaBright and Yoga4Courage offer you this amazing collaboration to bring some sun, sea and sumptuous yoga to your dark winter days. Specially designed to celebrate the colourful and mystical spirit of India, our bouquet of rooms speak to your senses, lets you soak in the relaxed vibes of our property and resonate with your inner balance. Our in-house restaurants dish out tasty & healthy organic fare complete with superfoods to help you detox your system. From enjoying our natural salt water swimming pool, sunbathing on the sandy Morjim beach or watching the sun set into the Arabian sea, you can experience it all at Devarya Wellness – the serene environment to stimulate your mind, energise your body and speak to your soul. A space to just be. Devarya Wellness, located in a coastal village in North Goa, overlooks the Morjim Beach. This beautiful beach stretch is also known as Turtle Beach after the endangered Olive Ridley sea turtles that nest on its shores during nesting season. A quiet and peaceful setting, Morjim with its lush green hills, clean beaches and the Chapora river running through it, is a popular destination with foreign travellers and expats. 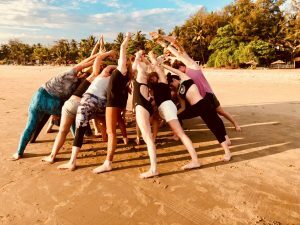 Live the yoga life here, doing your practice, going for a swim, meditating on the beach and enjoying spectacular sunsets as you soak in the sights and sounds of this beautiful place. At Devarya Wellness space, we offer you an escape from the mundane. 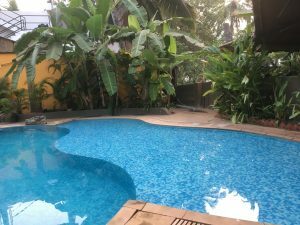 Our luxurious accommodation set in a lush garden is located just a minute walk from the Morjim beach stretch and is specially designed to give you a tropical holiday that you deserve. Our rooms across our property which spans 7000 sq metres, seamlessly blends the elements of a Goan Portuguese heritage with the aesthetics of Rajasthani royalty. Each room is vibrant, airy and filled with natural light and good energy. Tastefully furnished with earthy decor that has been handpicked to reflect the elements of nature. Our accommodation offers you the beauty of traditional design combined with all the contemporary comforts of a luxury property. Our Chakra Standard Rooms are situated at the centre of our resort, in a building opposite our leisure pool with views of the beautiful tropical gardens. These rooms all come with a comfortable bed, private bathroom, storage cupboard, fan and air conditioning. Some also have a private balcony. At Devarya Wellness, we have carefully designed Chakra suites to compliment to various chakras. Each Chakra Room has a private bathroom, private balcony, a fan, air conditioner and a built-in wardrobe. All of our rooms are fully furnished with Rajasthani beautiful furniture and modern amenities. 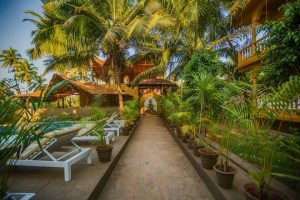 Our Chakra Cottages and Junior Cottages are situated less than a one minute walk from the sandy Morjim Beach and opposite our beach front Chia Lounge Restaurant. Each of the twelve cottages are surrounded by palm trees and the luscious tropical greenery that Devarya Wellness prides itself on. Each Chakra Cottage & Junior Cottage has a glass front offering you a light and airy space for your yoga holiday or retreat. All our Cottages’ come with a comfortable bed, private bathroom, storage cupboard, fan, air conditioning and a private balcony. All of our Chakra Cottages have twin or king size beds that can accommodate a comfortable, double or twin sleeping arrangement. Our Chakra Cottage Juniors are smaller in size and have only a kingsize bed, ideal for couples, lone travellers or friends who do not mind sharing a bed. Single rooms are limited and price is on application – book early to avoid disappointment. If you prefer to pay via regular instalments, please contact Claire (UK) or Hronn (DK) to make arrangements. Costs include: Accommodation for 7 nights, yoga, breakfast buffet and dinner daily. Costs of travel are not included, such as flights, transfers or visa costs. Excursions and activities booked at the resort are not included. To book, contact Claire (UK) or Hronn (DK) via email and pay your deposit to reserve your space. Your balance will be due on 10 December 2018. This retreat is open to all levels of yoga student. You will find yourself encouraged if you have never stepped on a mat before, and challenged if you are an experienced yogi! Arrivals are on Sunday, and dinner is at 7pm. 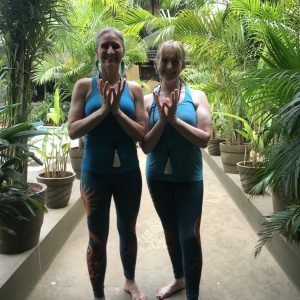 The morning session will be fiery, dynamic and flowing practice that aim to build courage and strength in order to empower you. The afternoon practices will be more soma/nectar and vary between gentle and restorative work, focusing on being present with what is, release and letting go. There are no classes on Sundays, which are dedicated to smooth arrival and settling in and departure. Bring mosquito repellent, sun protection (and a hat), beach towel, a torch and bite relief cream. There are mats available but you are free to bring your own. We prefer to have our own travel mats on top of the resort mats and would advise you to do this or bring a thick mat.